WHAT BOOKS: I review mostly realistic contemporary adult and young adult fiction. 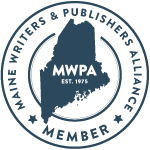 Special interests: Maine authors (i.e. native or resident for a year or more); diversity; debuts. In adult fiction I prefer literary fiction that has crossover appeal to young adults. I no longer review middle grade fiction or self-published books. HOW: I have been reviewing since 2007. I only review books I like, but my posts involve critical analysis. There are no spoilers. I mention if a free book or galley is reviewed or if I have a personal connection to the author. On the first Wednesday of every month, I post an in depth review and occasionally an author interview. GALLEYS: bound ARCs preferred, but I have a netgalley account. Digital galleys must be in Kindle formatting. I try to post reviews within a couple weeks of publication.